Every year, shortly after the Christmas decorations leave the shelves, ‘I love you’ cards, teddies, bouquets of roses, and luxury chocolates make an appearance. Whilst this will be enough to send some people running for the hills, others will enjoy every single second of this romantic occasion. If you are with the latter, nothing says romance quite like sweeping your loved one off their feet and onto a plane for a surprise weekend away. So, if flowers and chocolates aren’t enough, why not book the ultimate romantic break? This year Valentine’s Day falls on a Thursday which is ideal when it comes to planning a long weekend away. Spending no more than a few days with a loved one will mean you can fill every day with romance, without running out of ideas and more importantly; breaking the bank! City breaks are perfect for a romantic weekend away; especially Paris or Venice where you can spend the day exploring the hidden gems of the city, and the evening indulging in the fine cuisine. If you do choose to take your loved one abroad for a long weekend, ensure it is a short-haul flight – you don’t want to spend a day of your holiday just travelling. A Valentine’s holiday doesn’t necessarily mean you have to travel abroad, there are some great locations here in the UK. Depending on your interests why not have a look at spa resorts, retreats or adventure weekends? Deciding on the type of accommodation you want to book (i.e. hotel room, apartment, suite) can be tricky for any holiday, but even more so if you are planning a Valentine’s break. To make the decision a little easier, and to help you shortlist a few choices you may have in mind, we always recommend setting a budget; that way you will have a rough idea of how much you will have to spend and can designate a set amount to accommodation. Before booking a hotel, always read the reviews left by other guests. We tend to look at the ‘averagely scored reviews’ (usually a 3, or 5, depending on the scale) as they usually give a balanced report of the stay. If you are looking for a little more than a hotel room, have a look at Airbnb as they usually offer deals and accommodation to suit all budgets. It is worth noting most hotels will offer to organise for flowers, champagne and/or chocolates to be in your room on arrival – if this is something you would be interested in ask for more details and compare prices before booking. These services can be pricey so if you are on a budget you could always buy the added extras yourself and bring them along. If you are travelling by air and your budget (and chosen airline) allows, it would be a nice touch to upgrade your flights. Not only will you have more leg room and a quieter experience in-flight, it is a sure way of scoring extra brownie points! We’re just guessing here, but most of you will want to keep the location and plans a secret, which is great, but remember you will have to give your significant other some idea of what they need to pack. The last thing you want is for your partner to turn up in Paris, at the beginning of February, with a suitcase full of swimwear! Whilst we are talking about weather, it is important to check the forecast as this could make or break your trip (no one wants to be wandering around a new destination in the pouring rain!). Depending on where you are travelling to, you may already have a few ‘must sees’ for you and your partner in mind. If you are travelling in peak season, try and book excursions and tickets online before you travel to save standing in queues. If you are sticking to a tight schedule (well, because there so much to see or do) allow enough time to battle the crowds to ensure you can enjoy the experience. When looking at where you are going to ‘wine and dine’ your loved one, it is a good idea to call the restaurant and book in advance – or ask your travel agent to make the arrangements at the time of booking. Restaurants, both in the UK and abroad, are likely to get incredibly busy over the Valentine’s period. Many eateries will offer a Valentine’s menu too, so be sure to check that out! After exploring the city and indulging in a romantic meal, what better way to end the day than watching the sunset? Spend some time looking into key spots where you get the best view of the sunset and make sure you note down the time. As you are likely to only be away for a couple of days, a couple’s single trip policy is ideal. This type of travel insurance will cover you from the time you purchase the policy until you land back in the UK; which is why we recommend you buy your travel insurance shortly after paying for the holiday or the deposit. Even if you are planning to spend your Valentine’s Holiday in the UK, travel insurance is still advisable. Although health care is free, travel insurance will still cover for cancellation costs or if your possessions are lost, stolen or damaged. Most travel insurance policies will offer cover for UK holiday’s if you have pre-paid for your accommodation and the trip is a minimum of two nights. This restriction will differ, and some policies will not have a restriction at all, so check the policy documents beforehand. Without meaning to fall into the Valentine’s cliche, you may be planning to propose to your partner during the trip and in all honesty, what could be more romantic than a picturesque beach at sunset or at the top of the Eiffel Tower? Engagement rings can cost a small fortune so you’ll want to make sure the ring is covered under your travel insurance policy in case it is lost or stolen. Always check the policy’s cover levels to ensure the limit for jewellery or valuables is suitable. Some policies may offer to cover up to £1,500 for personal possessions but have a £300 single item limit for jewellery, but this will differ between insurers. Alternatively, you can check if your home insurance will offer worldwide personal possession cover for the cost of the ring. On that note , if both you and your partner are named on the home insurance a notification confirming you have added a new item to the insurance may be sent to both of you – check this with your insurer beforehand so they don’t accidentally ruin the surprise! We have left this until last because we know the thought of ‘what if you break up before the holiday’ probably hasn’t even crossed your mind, but without sounding like killjoys we advise on all eventualities. If, for whatever reason, things do not work out and you and your partner spilt before the holiday, this is not a valid reason to claim for cancellation under most travel insurance policies – leaving you heartbroken and out of pocket. Having said that, if you buy a policy that offers ‘cancellation for any cause beyond your reasonable control’ or ‘cancellation for any reason which you could not have been expected to foresee or avoid’ this may be covered. If you are able to change the booking and tickets into a friend’s name it is worth checking if your travel insurer is able to amend the details of who is travelling. Bear in mind, if you are not the named person on the policy or the card holder, then the named person will need to speak to the insurer to confirm the changes. Climbing the iconic Eiffel Tower has to be at the top of our list. To make the experience just that extra bit special, why not book a table at 58 Tour Eiffel and enjoy exceptional cuisine and picturesque views of the city? An ideal time to book is just before sunset, when Paris is at its prettiest. 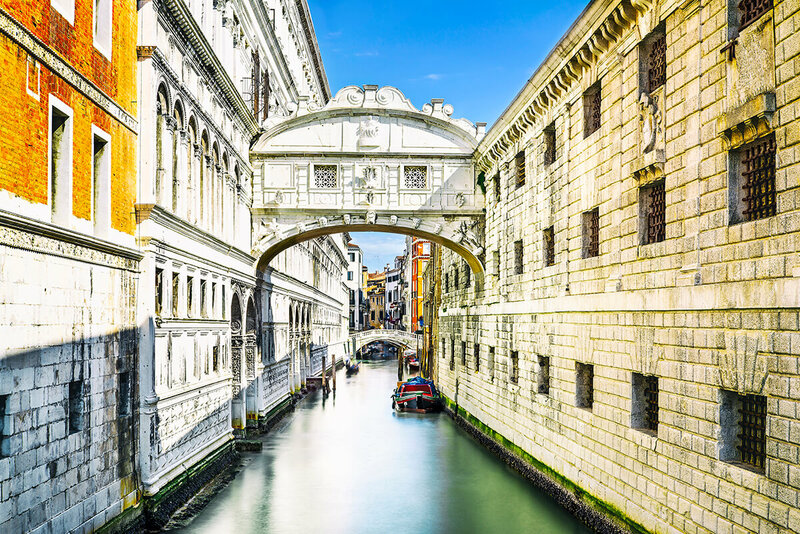 For something a little difference, but incredibly romantic, head to Venice’s Teatro La Fenice and spend an evening being captivated by breath-taking ballet or opera. After the performance enjoy a chilled glass of Italian wine and fine cuisine in Ristorante Antico Martini – just a stone’s throw away from the theatre. If you and your partner are lovers of red wine, or just wine in general, stop what you are doing and book Melnik for your Valentine’s holiday. Bulgaria’s smallest city is the place to go for wineries, so explore the culture and indulge in a rich red wine whilst admiring the truly picturesque scenery. Honestly, what is more romantic than you and your partner gazing through the roof of your own glass igloo watching the infamous Northern Lights in Reykjavik, Iceland. Why not book a Northern Lights boat tour to make the experience a little extra special? Why not plan a staycation and head to the Champneys Spa Resort in Hertfordshire for the ultimate couple’s massage and a weekend of relaxation? The resort is surrounded by idyllic countryside so why not spend the morning wandering around the grounds before heading back for an afternoon of pampering? ♥ Try and keep your plans a surprise, or if you need to tell your partner that you’re taking them away keep the itinerary to yourself. ♥ Don’t overthink things. It is highly unlikely every waking moment will be full of romance and things never work out as they do in the movies so don’t put too much pressure on yourself. ♥ Make it special, if you enjoy celebrating Valentine’s Day use it to do something you wouldn’t normally do – or visit somewhere you would have otherwise said no to. ♥ It doesn’t have to be on Valentine’s Day. Money can be tight just after Christmas so why not look at booking something for a little later in the year. ♥ Enjoy the time together. This one may seem simple but all too often we are surrounded by people and social media so switch everything off and just spend time in each other’s company. * Disclaimer: Travel Insurance Explained is in no way affiliated to the brands mentioned in this piece, we just think they’re great!